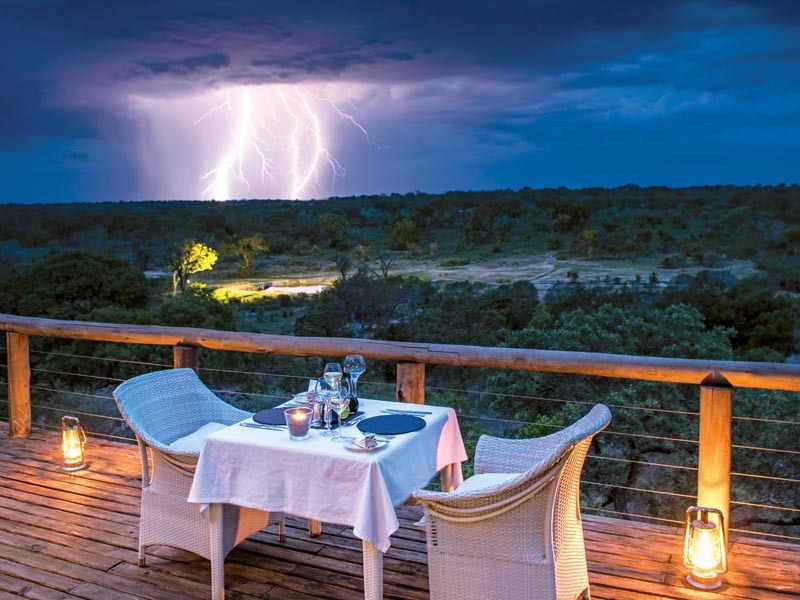 First choice for a Sabi honeymoon, Leopard Hills offers excellent game viewing, deluxe suites & hotel-style amenities. 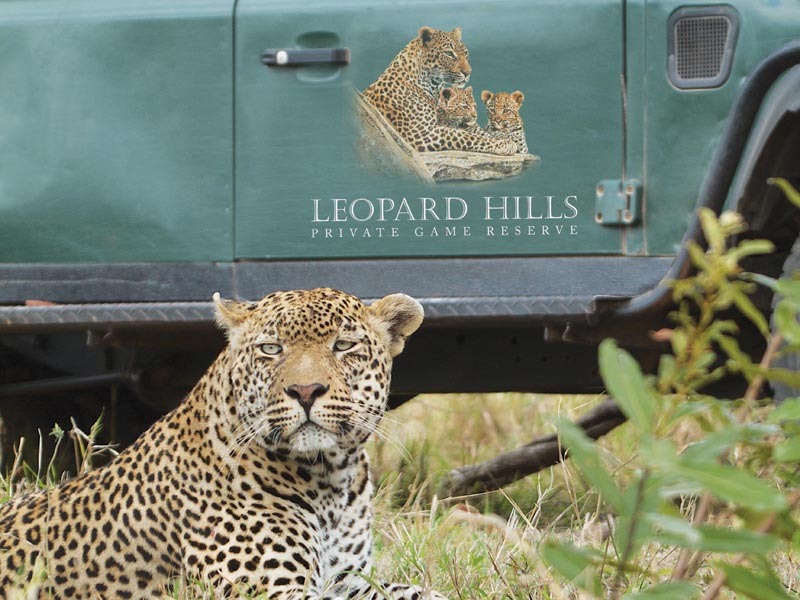 Multi-award winning Leopard Hills certainly lives up to its name. 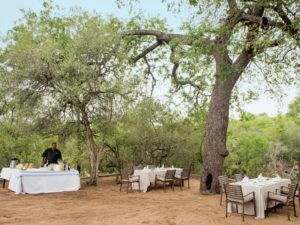 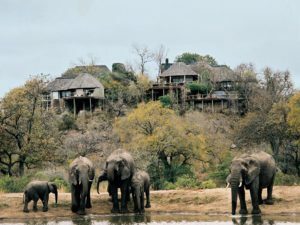 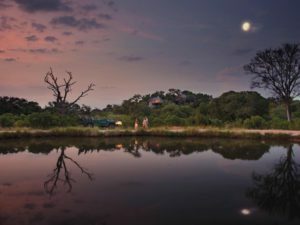 Overlooking its private concession from a rocky outcrop, this small and intimate lodge is not only a great place to see the usually-elusive leopard but all the other members of the Big 5 too – lion, elephant, buffalo and rhino. 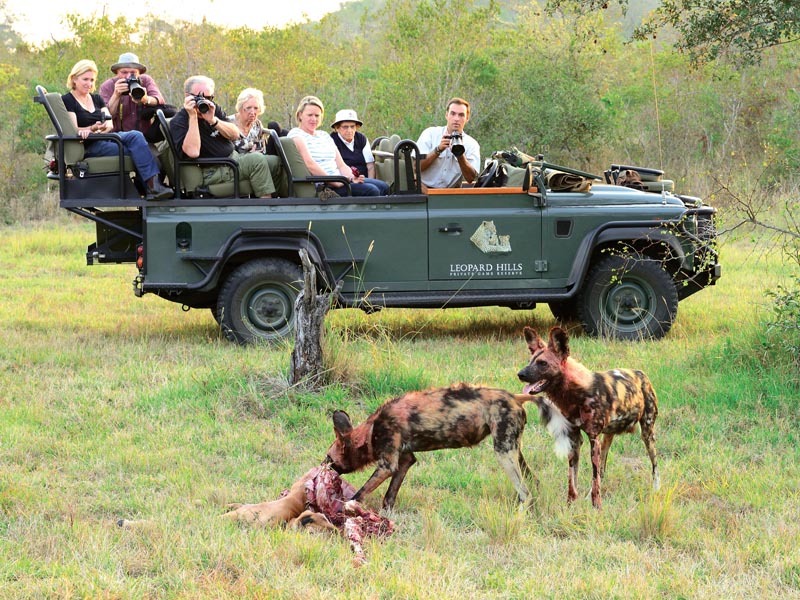 Game drives in the company of expert guides and eagle-eyed trackers are balanced with guided walks and bird watching. 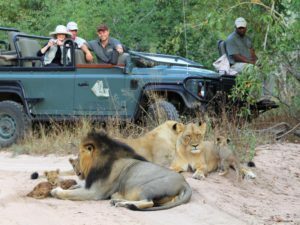 Staff will be happy to arrange any other activity in the area that you may be interested in, whether it’s a round of golf, helicopter flight or hot air ballooning. 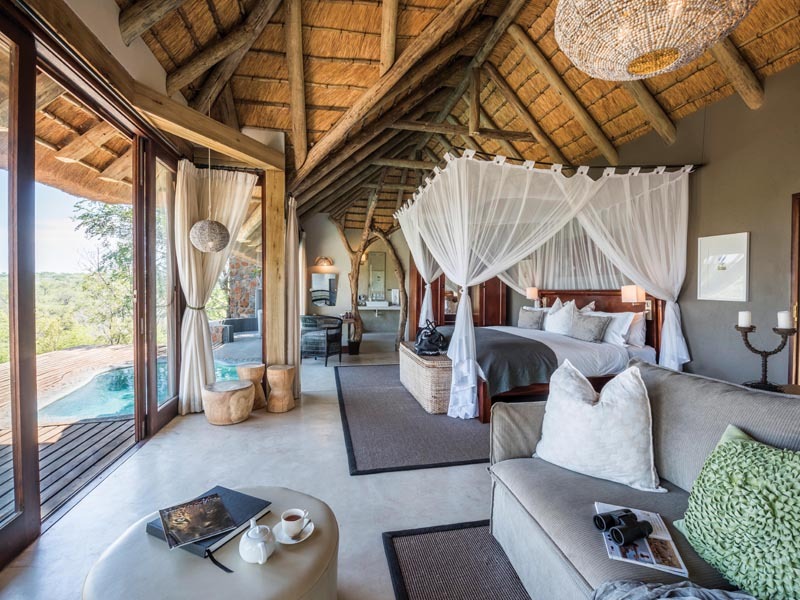 There are only eight suites on offer at Leopard Hills, each recently refurbished and featuring glass fronts to allow for exquisite views. 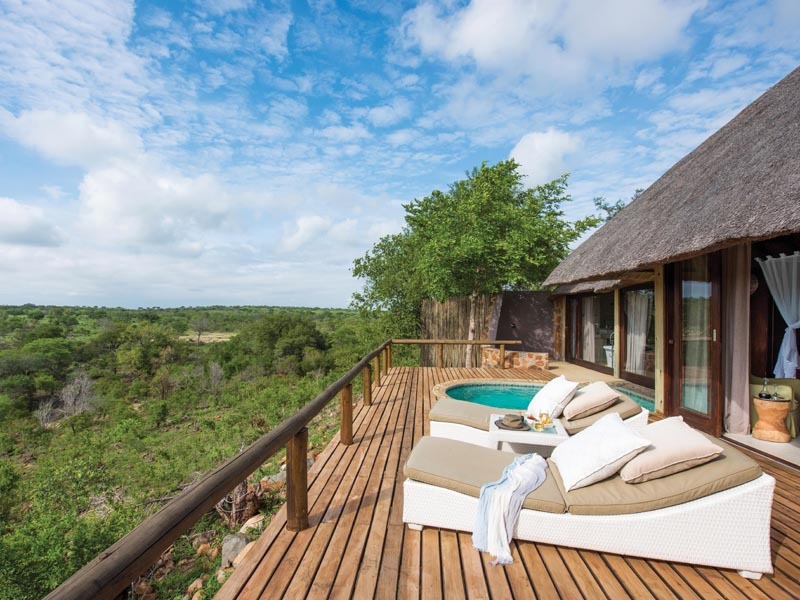 You’ll also enjoy the advantage of private plunge pools and viewing decks as well as generously appointed interiors. 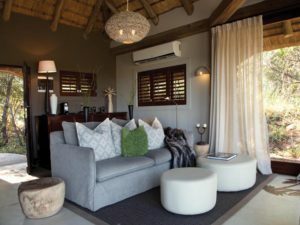 Suites are air-conditioned and come with a wide range of amenities ranging from a comfortable lounge and full en suite bathroom to a mini bar and an outdoor shower. 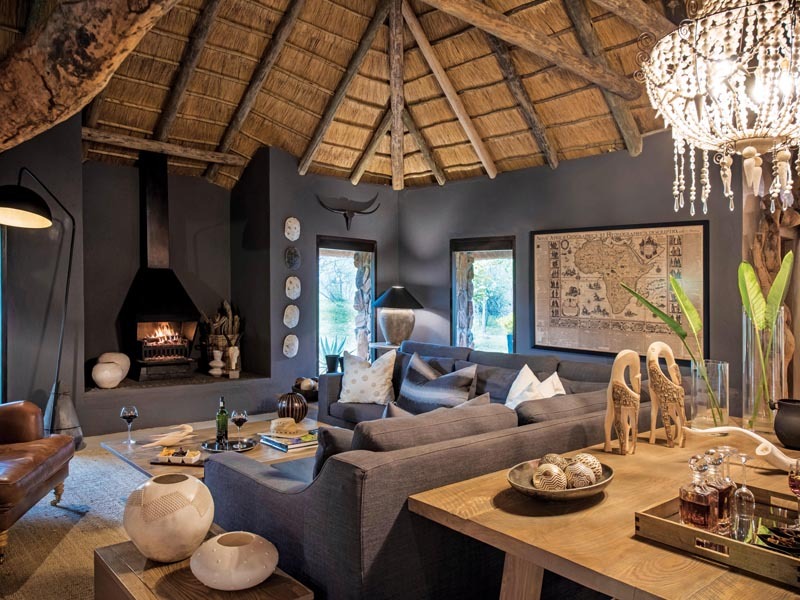 Despite its modest size, Leopard Hills Safari Lodge is one of the more deluxe Sabi lodges. 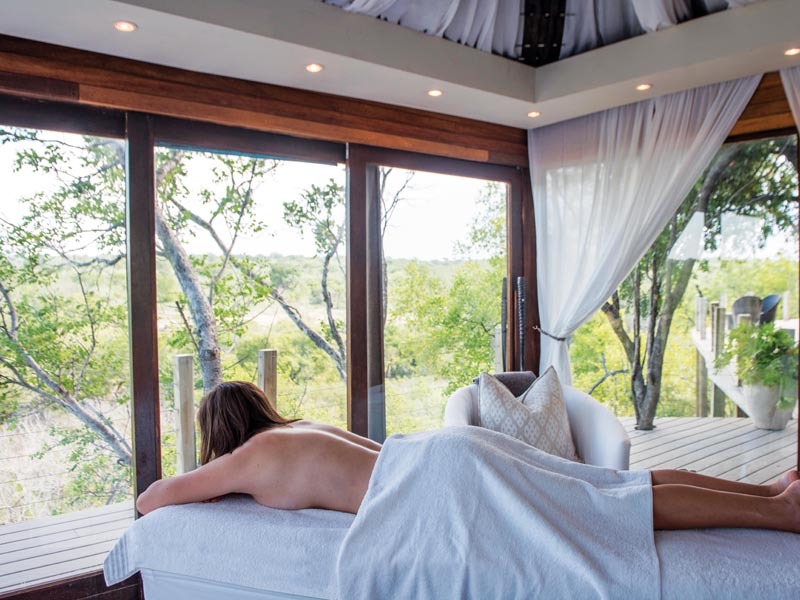 Standards of service and guiding are very high and guests enjoy access to a gym, swimming pool and spa treatments. 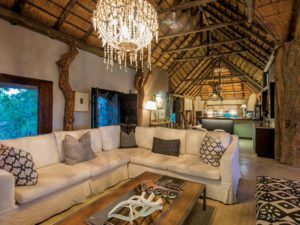 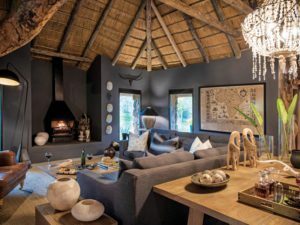 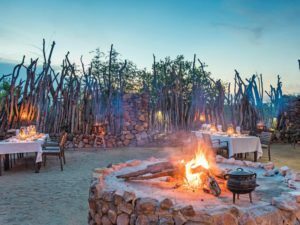 There is also internet access, a well-stocked shop and an impressive wine cellar, the latter augmenting the lodge’s kitchen from which you can expect memorable meals. 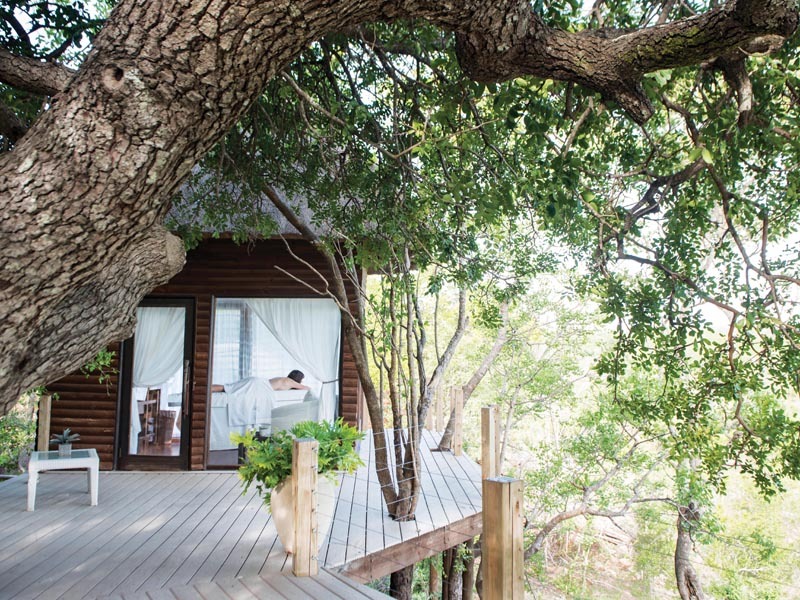 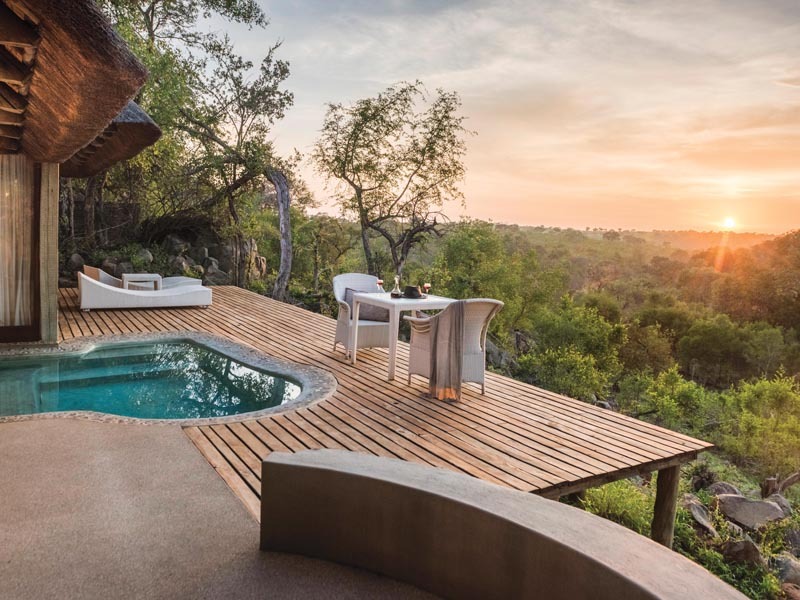 With its glass front looking out over the wilderness, each suite at Leopard Hills offers sweeping romantic views, perhaps best enjoyed from the comfort of the sun loungers set on the private deck and next to a tempting plunge pool. 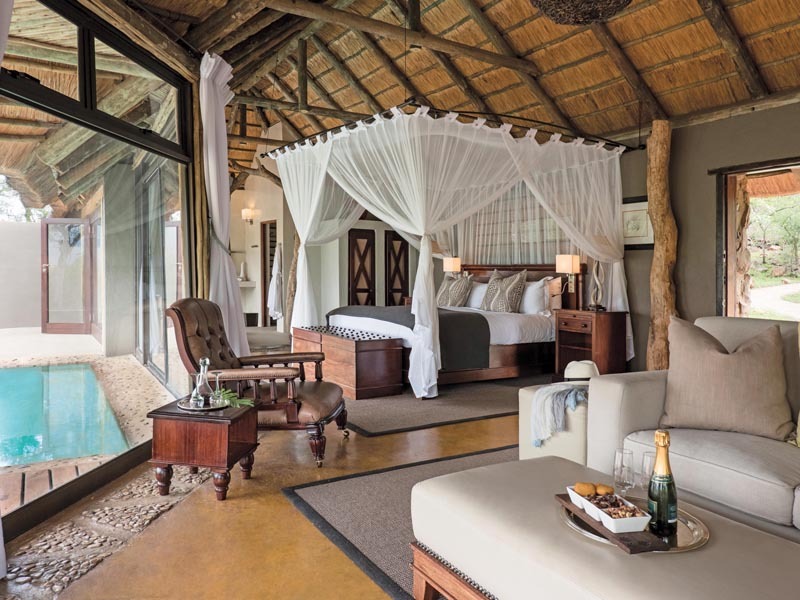 Recently refurbished, the suites feature a grand netted bed and radiate effortless safari elegance. They come complete with lounge and en suite bathroom featuring an outdoor shower in addition to the double interior showers and bath. 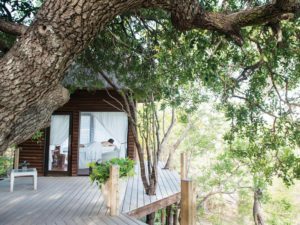 You also enjoy hotel-style amenities in your room ranging from a mini bar and air conditioning to bath salts and crisp percale cotton bed linen. 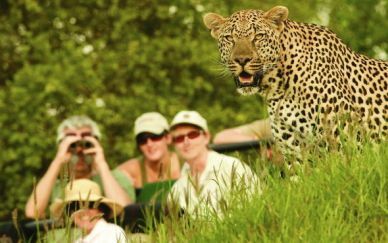 Guests at Leopard Hills’ main lodge have an enviable list of amenities to choose from. Inside, you’ll find the lounge and well-stocked library as well as a TV lounge and collection of nature DVDs. 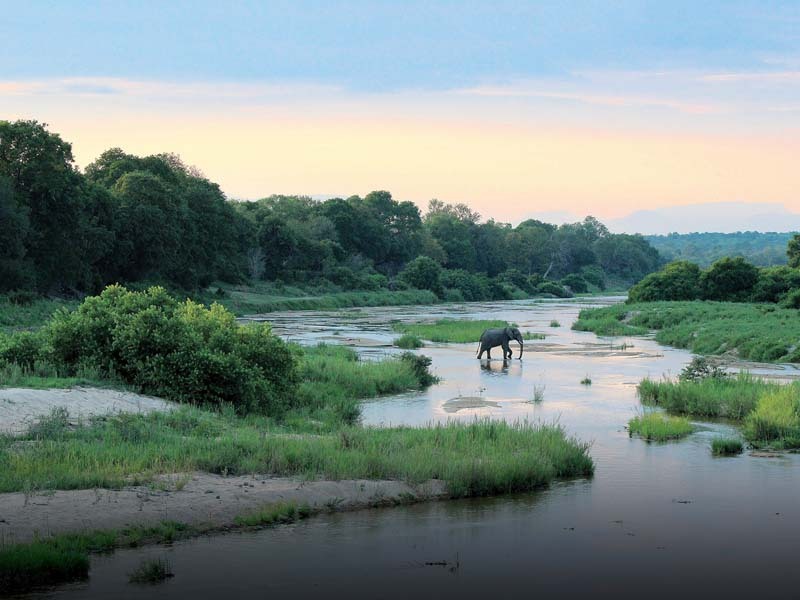 The bar and dining area flow out onto wide decks that command superior views over the Sabi. You’ll also have access to a swimming pool and treatment sala where you can settle down to massages and beauty treatments. 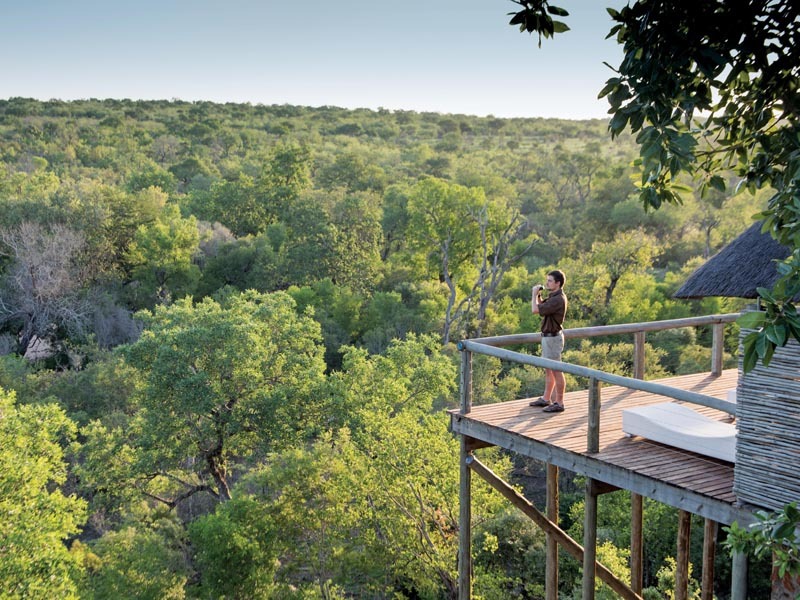 Internet access is available 24/7 and you can even enjoy a workout at the well equipped gym. 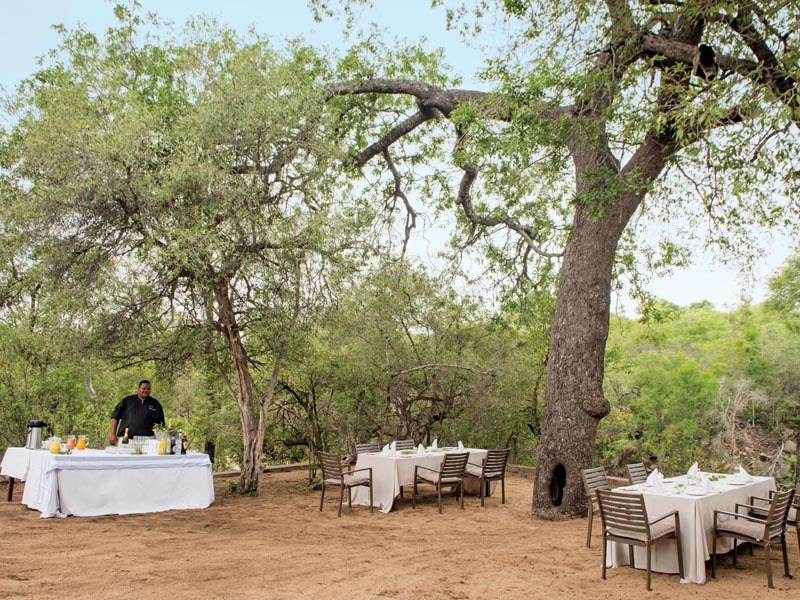 Meals are a grand affair of gourmet cuisine served anywhere from under thatch to under starlight. 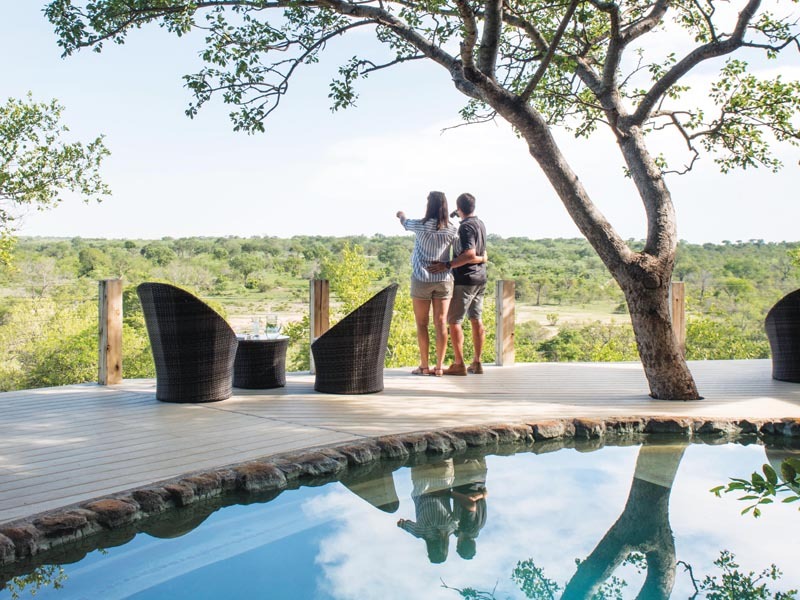 Elevated above a waterhole, Leopard Hills Safari Lodge offers game viewing from the comfort of its sun loungers but you’ll want to get out on early morning and late afternoon game drives to take advantage of the lodge’s enviable location within the Sabi Sands Private Game Reserve. Leopard Hills lies deep in Big 5 country and you’ll be on the lookout for all the members of this exclusive club. Your guide enjoys the advantage of a tracker and is allowed to drive off road and at night to deliver a comprehensive Sabi safari. 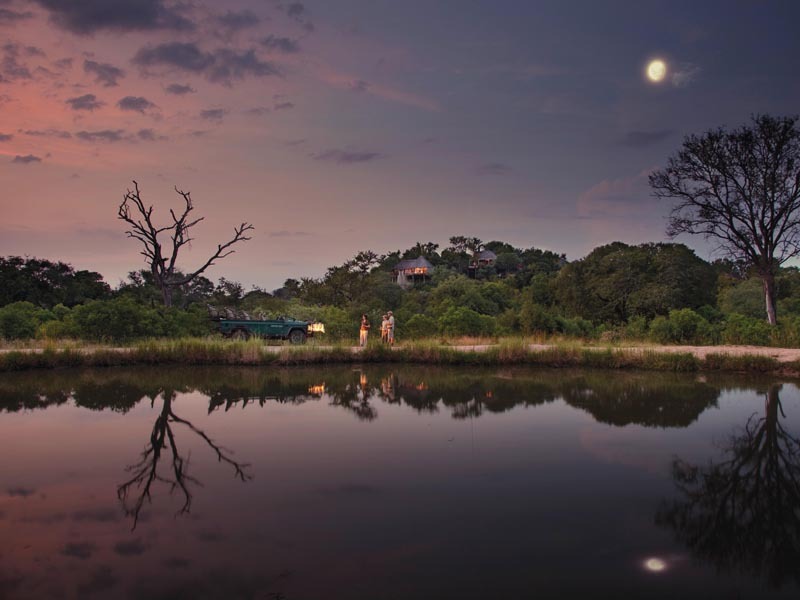 Short nature walks around camp with your guide add to the experience and are highly recommended for bird watchers. 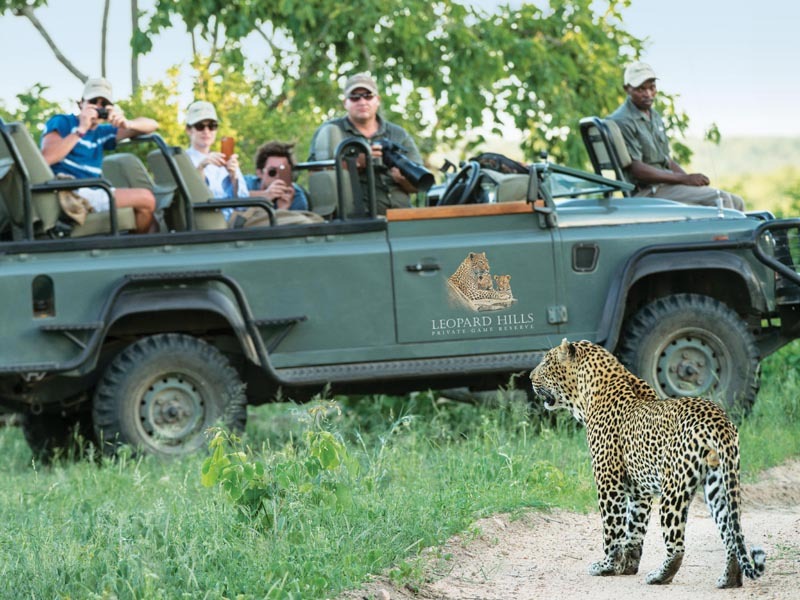 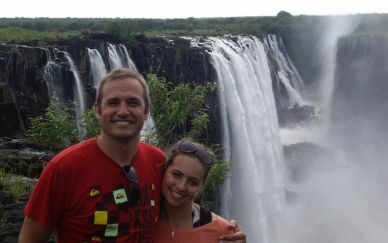 If you want to try some of the other activities in the greater Kruger area such as hot air ballooning, golf or scenic flights, then simply ask at reception and Leopard Hills’ ever-smiling staff will arrange everything for you.